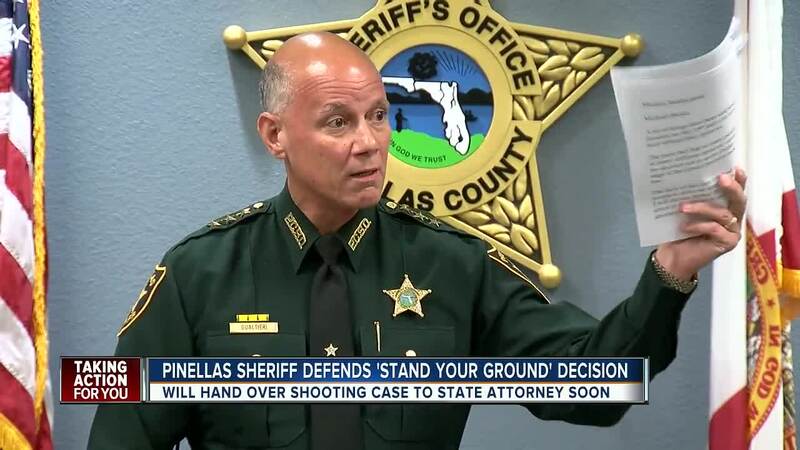 PINELLAS COUNTY, Fla. -- Pinellas County Sheriff Bob Gualtieri addressed the media Tuesday to explain his decision not to arrest Michael Drejka, the shooter in the "Stand Your Ground" case that has captured national attention. Although the press conference was supposed to include members of the NAACP Clearwater Branch and the Upper Pinellas County Ministerial Alliance, both organizations canceled less than 30 minutes before the meeting. NAACP later explained in a statement, "We have no intention of standing with the Sheriff on this issue. We continue to demand justice. The Sheriff mentioned that he thought we were on the same page, but the page we are on is that we are still calling for an arrest," Marva McWhite, NAACP branch president wrote. McWhite further explained that they will continue to press the State Attorney's office to "demand justice" since the Sheriff indicated that "the bus has left his station." Sheriff Gualtieri stands by his decision not to arrest Clearwater resident Michael Drejka in the shooting death of Markeis McGlockton. “Not all the evidence has been made public. It has not been seen by the public or the media. An opinion cannot be made without all the evidence," Gualtieri explained Tuesday, adding that the case will be turned over to the State Attorney's office for consideration later this week. Sheriff Gualtieri also said he does not believe Drejka should be in jail as the State Attorney's office considers the case. 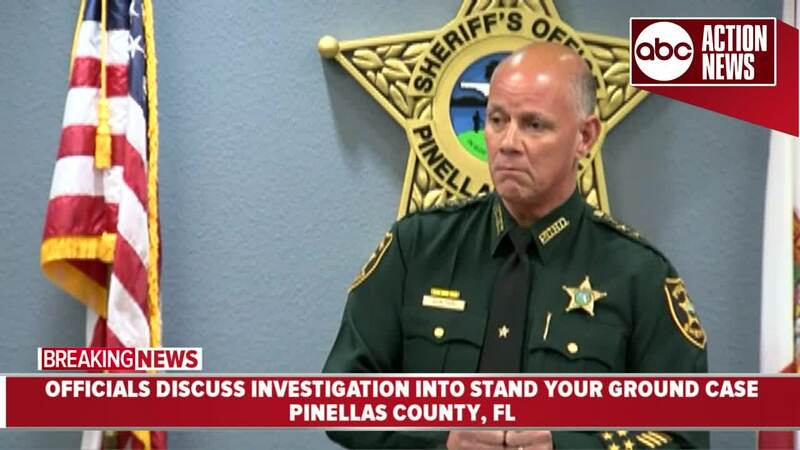 Sheriff Gualtieri also explained to members of the media Tuesday that Drejka no longer has possession of the firearm used in the shooting and that they do not anticipate him fleeing the state or country.